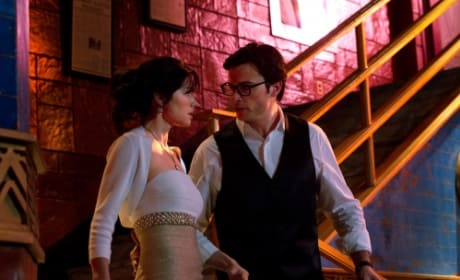 It's Clark and it's Lois at the altar. 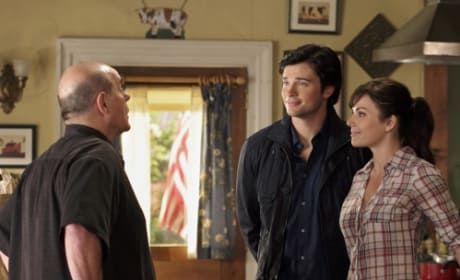 In many ways, it's the scene many Smallville fans have been clamoring for. 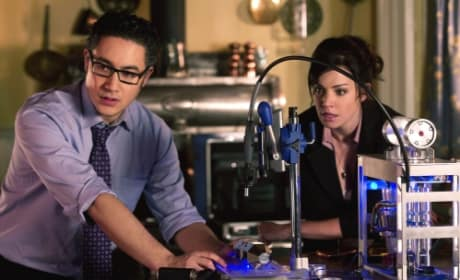 Pictured in this Smallville scene: Alessandro Juliani as Dr. Emil Hamilton and Erica Durance as Lois Lane. 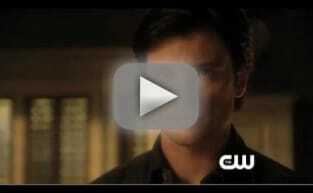 John Schneider is back on Smallville. He portrays Clark's father, Jonathan. 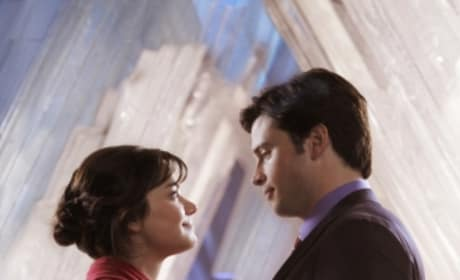 Clark and Lois are seen here in a still from Smallville. It's courtesy of the episode "Kent." 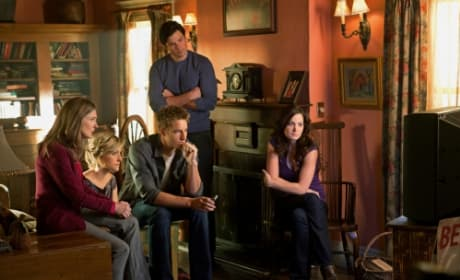 What is the group watching on TV in this scene? Martha speaking at a pro-vigilante rally. 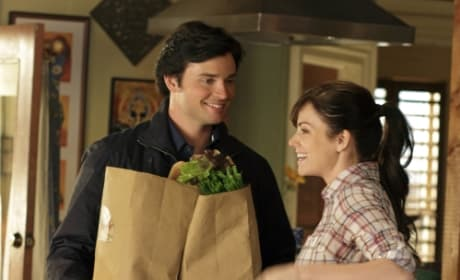 Lois and Clark pose here soon after they got engaged. Cheers to the happy couple! Yes, folks, it's the moment you've been waiting for. 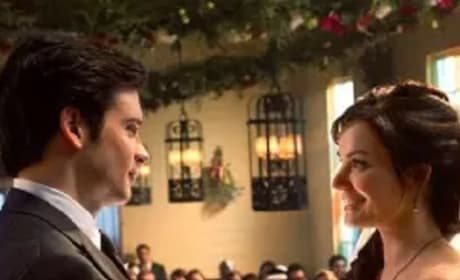 Clark and Lois are now engaged! 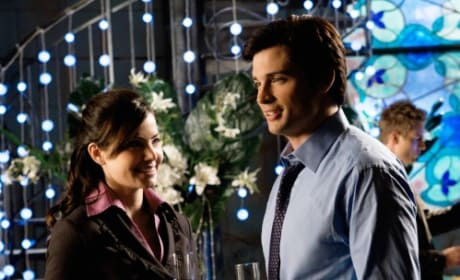 Clark and Lois have a lot to celebrate on the episode "Icarus." They hold glasses of champagne in this scene. 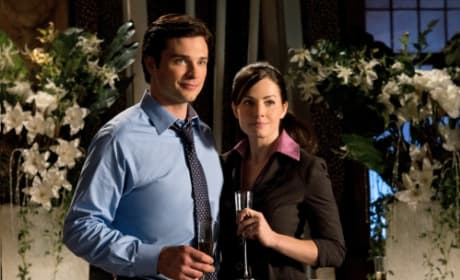 It's true, Smallville fans: Clark and Lois will make it official during this show's final season and get engaged. Surprise, Clark and Lois! 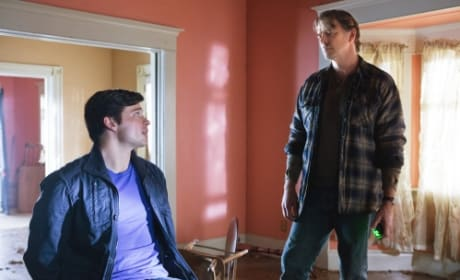 The latter's father stops by for Thanksgiving on the episode "Ambush."